West Virginia played its last regular season game last night, but that doesn’t mean my mind isn’t thinking about tailgating next year at Mountaineer Field! 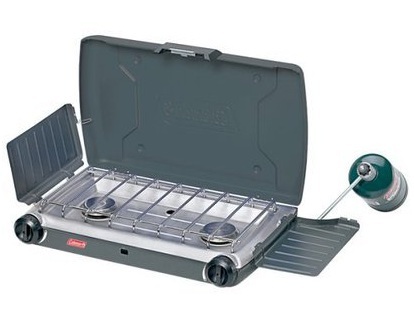 My parents, the #1 tailgaters in my book, use their outdoor burner all the time, so I think it’s about time the hubs and I invest in one of these bad boys. And for all of those guys out there that thing Shot of Brandi* went to girly, here’s a manly Colman gift. This little bad boy requires a propane take to bring the heat to tailgate favorites like spiked hot coco, soup, Italian beef, etc. The warm possibilities are endless! AND it’s under $75 – a popular gift price point. But wait - there's more!! This burner is available at Target. I consider this a bonus because you can pick up so much other stuff while you are there - wrapping paper, cards, shoes, clothes, food, etc. !